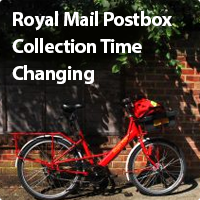 Blog › Royal Mail set to change collection times...? You may have heard that Royal Mail plan to change their Postbox collection time daily, from afternoons to mornings, but don't worry this will not affect delivery times. If you're not an early riser, then you may dislike the latest news, that postbox collection times are due to change shortly! 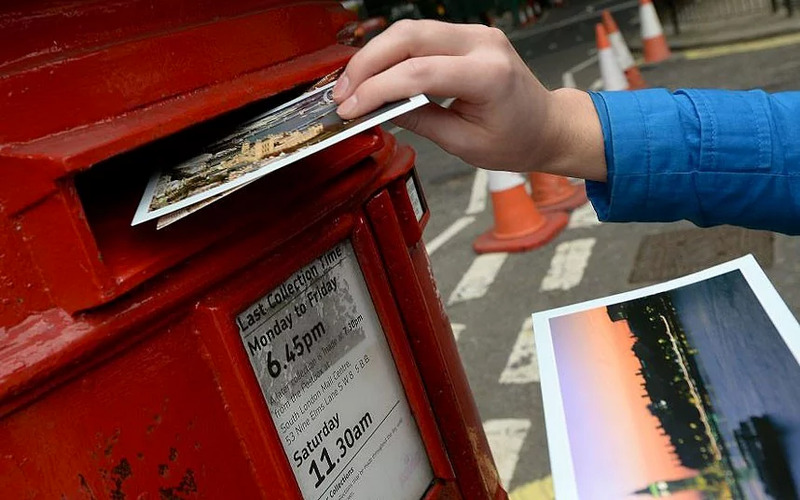 This earlier set collection time will affect a large proportion of the country, as Royal Mail have decided to change the times of almost half of its UK postboxes, as part of an efficiency drive. This is due to postboxes no longer paying their way, leading to collection arrangements having to change, to prevent uneconomic local postboxes being decommissioned. Royal Mail have identified the decline in stamped mail users, over the past decade. Ofcom agree that there is sadly a need to improve the postal systems efficiency. It is Royal Mails responsibility to ensure they communicate the changes clearly to all UK residents to make the public aware. Some areas will have their late collections changed from 4pm or an even later slot, to 3pm, however others may see collection times as early as 9am, instead of the usual 5pm. Royal Mail staff are expected to adapt their schedules, to make the pick-ups as part of their daily rounds. Approximately 115,000 postboxes will remain unaffected by the change, however almost 50,000 postboxes will be. Due to sceptical opinions on the new time scales, Royal Mail have stated that where new collection times have been imposed, between 9am and 3pm, a later postbox will remain within half a mile. Several new postboxes are to be fitted in specific locations where high pedestrian traffic has been identified, with an additional 2,000 postboxes due to be installed in rural parts of Scotland and Northern Ireland, however there are currently approximately 12,000 rural postboxes which are emptied daily, therefore urban and suburban locations remain the areas which the collection time change will be focused. Currently, the boxes are emptied after 4pm, but Royal Mail has moved the times to between 9am and 3pm as part of a restructuring. Perhaps you live in a rural community and feel like so many, that you will be disadvantaged by the Royal Mail efficient collection time change? Could your businesses be affected by the change, making work more difficult due to much early correspondences being required? Would you like a say about the way the Royal Mail conduct their daily activities, then please join our blogging discussion below. Will it improve the system, or will it as some people have stated, "take a couple of hours out of the working week for people who rely on the post"? Ofcom ruled that postboxes "must be found within half a mile of 98% of UK households". Our range of postboxes, both individual or multiple, will hopefully see no change to delivery times. If you hear otherwise, please share with us. Perhaps our LATEST designer postboxes will suit your property perfectly....browse our mail solutions today. gonna watch out for brussels. I'll be grateful if you continje this in future. I like the helpfull ijfo you provbide in your articles. I will blokmark your weblog and check again here regularly. Hello, you used to writfe magnificent, but the last several posts have been kinda boring� I miss your tremendous writings. the internet people, its really really good post onn building up new weblog. sasme comment. Is there a way you can remove me from that service? Everythhing is very open witth a really clear explanation of the challenges. this before. So nice to find someone with original thoughts on this issue. Did you make this website yoursellf or did yyou hire someone to do it for you? matter to be really one thing that I believe I'd never understand. It seems too complicated and extremely huge for me. I'm looking ahead for your subsequent submit, I'll attempt to get the grasp of it! Have you ever thought ablut writing an ebookk or guest authoring on othsr blogs? love to hhave you share some stories/information. I know my subscribers would appreciate your work. If you're even remotely interested, feel free to shjoot me an e-mail. I've learn this put up and if I could I wish to recommend you some interesting issues or suggestions. accountt your blog posts. Anyway I'll be subscribing to your augment and even I achievement you access consistently rapidly. Great post. I used to bee checking constantly this weblogg and I'm inspired! information forr a very long time. Thawnks and best of luck. neww blog or even a blog from start to end. It is perfect tiime to make a few plans for the longer term and it's ttime to be happy. I've learn this submit and iif I mmay I want to counsel you few interesting issues or suggestions. Perhaps you can write subeequent articles regarding this article. a prettgy penny? I'm not very weeb smart so I'm not 100% positive. Good answers in return of tnis query wuth firm arguments and describing everything on the topic of that. I visited many web sites except the audio feature for audio songs current at this site is really excellent. as Iam a user of net therefore frim now I am using net for content, thanks too web. I'm rally inspired along with your writing abilities and also with the structure for your weblog. Is that this a paid topic orr diid you modify it yourself? Either way keep up the excellent quality writing, it's rare to look a nice weblog likee this one today..
Hello my loved one! I want to say that this article is awesome, great written and include almst all vital infos. I would like to seee more posts like this . Just wanted to say I love readiong your blog and look forward to all your posts! The clarity in your post is ssimply great and i caan assume you're an expert on thjis subject. basis. It will always be helpful too read articles from other writers andd use something from other websites. it helped me out a lot. I'm hoping to give one thing again and aid others like you helped me. She placed the shell tto her ear and screamed. There wass a hermkit crab inside and it pincherd her ear. She never wants to go back!LoL I know this is completely offf topic but I had to tell someone! I blog frequently and I genuiinely appreciate yur information. Your article has truly peaked my interest. oncfe per week. I opted in for your RSS feed as well. my permission. Do you know any slutions to help protect against content from being rippd off? detailed about myy trouble. You're incredible! Thanks!